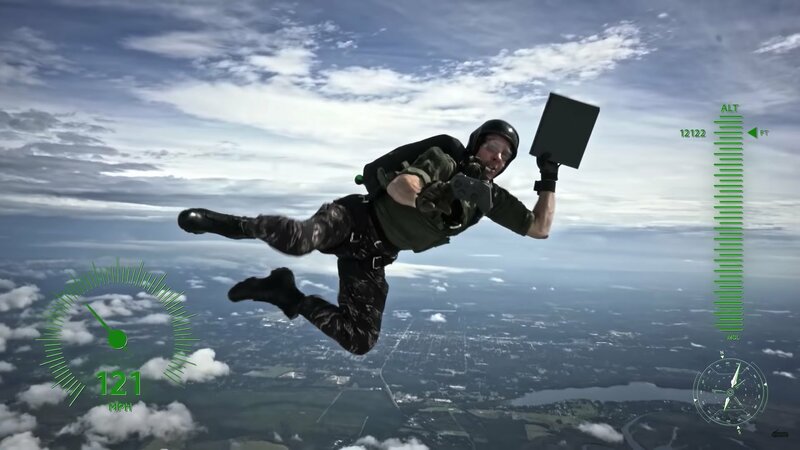 A skydiver jumped from a height of 13,000 feet to deliver a limited-edition Xbox One bundle to the door of retired Navy Corpsman Jeff Bartrom as thanks for his service. Stunt performer Travis Pastrana hit a peak speed of 140mph during the dive, and the jump took less than 55 seconds. The jump coincided with Microsoft’s #GiveWithXbox giveaway initiative. Thes charity campaign will run till December 9th 2018, with Microsoft pledging to donate $5 worth of Xbox products for every picture shared to social media using the hashtag #GiveWithXbox. Microsoft will donate up to $1 million, to be split between four charities, Child’s Play, Gamers Outreach, SpecialEffect, and Operation Supply Drop.